Professor Justin Kasper addresses Senate committee on solar threat to power grid. The University of Michigan Washington, D. C. office monitors legislation of interest to universities generally and U-M specifically; facilitates congressional and administration meetings and issue briefings for U-M faculty and staff; provides office space for University people on business in Washington; and serves as a clearinghouse on government activities, places, people and employment opportunities. The office serves University faculty, staff and students, as well as members of Congress and federal government officials and agencies. The office also works closely with higher education associations and coalitions to advance the University’s agenda in Washington. 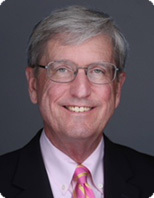 Activities include monitoring legislation of interest to universities; facilitating congressional and administration meetings and issue briefings for UM faculty and staff; providing office space for University people on business in Washington; and serving as a clearinghouse on government activities, places, people and employment opportunities. Congressional inquiries are handled concerning the University’s academic and research activities and its views on pending legislation. The Washington, D.C. Staff directly serve University faculty, staff and students, as well as members of Congress and federal government officials and agencies. Madeline Nykaza serves as the Assistant Director for the U-M Washington, D.C. office. Madeline previously worked on research and technology policy at the Association of Public and Land-grant Universities (APLU). Prior to APLU, she served as a Legislative Assistant to Senator Carl Levin of Michigan and as a Legislative Aide in the Michigan House of Representatives. Madeline is a Michigan native and proud alumna of the University of Michigan, where she graduated with a double major in Sociology and Spanish. Michael A. Waring directs the University of Michigan's Washington, D.C. Office. Located four blocks north of the Capitol, it serves as a liaison between the University and the federal government, public policy makers and national organizations to provide national leadership in matters affecting higher education and research. Working out of U-M's Washington, D.C., office, Ko advocates and coordinates federal interactions for the U-M research enterprise, keeping Congress, the executive branch, federal agencies, research organizations, professional societies and public policy organizations apprised of the achievements, needs and opportunities arising from the university's research community. She also informs and advises U-M faculty and administrators on federal legislative, regulatory and research policy developments that affect the conduct of research on campus, and works with other institutions to develop appropriate responses.